Janders provides customers with premium canvas car seat covers in Tasmania and throughout Australia to maintain the condition of your seats. Protect your interior against unwanted dirt, grime and mud with our top quality canvas car seat covers in Tasmania. Selecting the best fitting canvas car seat covers in Tasmania has never been this simple and hassle free when you shop from our range here at Janders. Our selection system caters to a large amount of makes and models, with the added convenience of custom fitting canvas car seat covers in Tasmania. 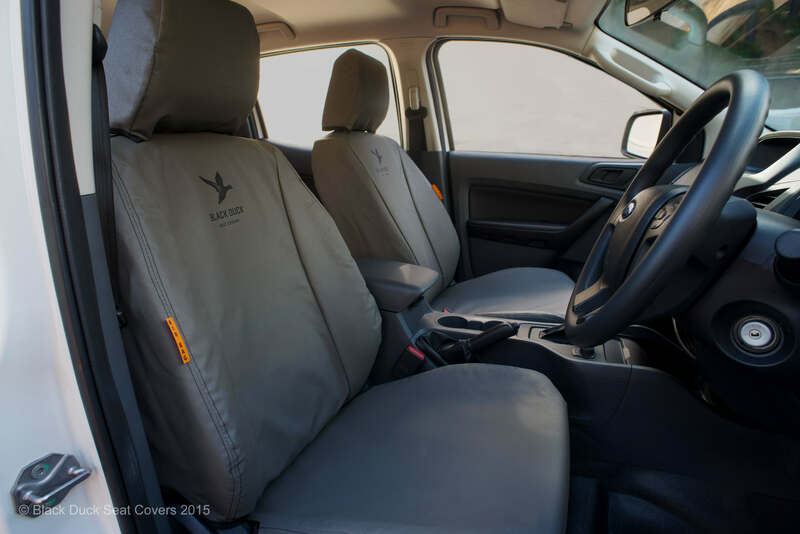 Janders has got you covered when it comes to providing you with superior quality canvas car seat covers in Tasmania to ensure the lifespan of your seats are extended. Made from quality materials, our range of canvas car seat covers in Tasmania are water and rot proof, tear resistant and will not wrinkle, bunch or slide off the seats. Make your next trip enjoyable without having to worry about getting your seats dirty when you discover our range of canvas car seat covers in Tasmania. Janders is home to popular and renowned brands including Black Duck and Stallion, meaning that we provide industry leading products and accessories including canvas car seat covers in Tasmania all at great prices. Get the most value for your money without compromising on style with our large variety of colours and looks that are designed to enhance the look and feel of your vehicle. Do not compromise the resale value of your car because of avoidable occurrences such as stained seats when you choose Janders as your one stop shop for all your canvas car seat covers in Tasmania and Australia.